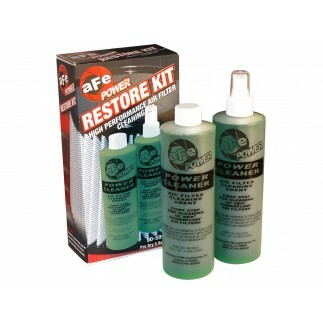 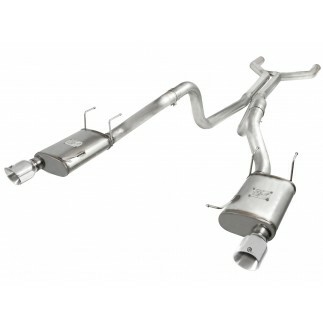 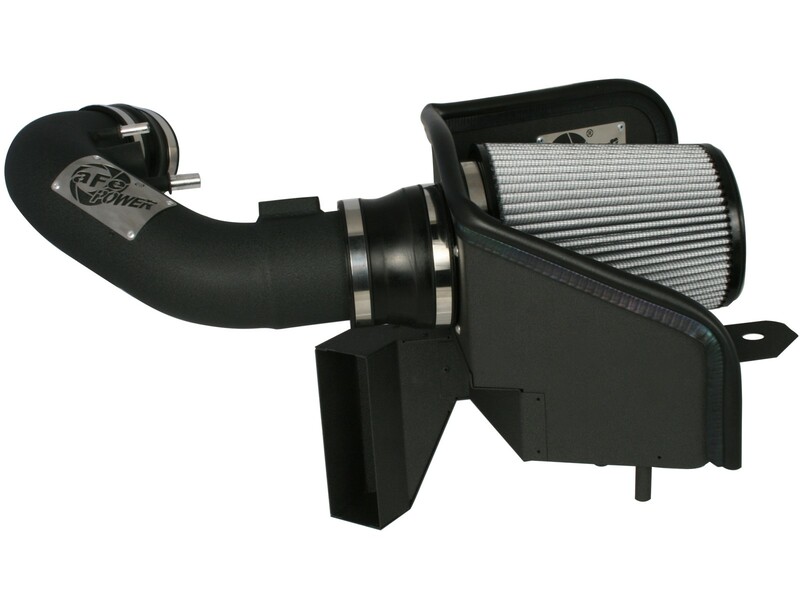 Add more power to your Mustang 5.0L with the aFe Stage-2 performance intake system. 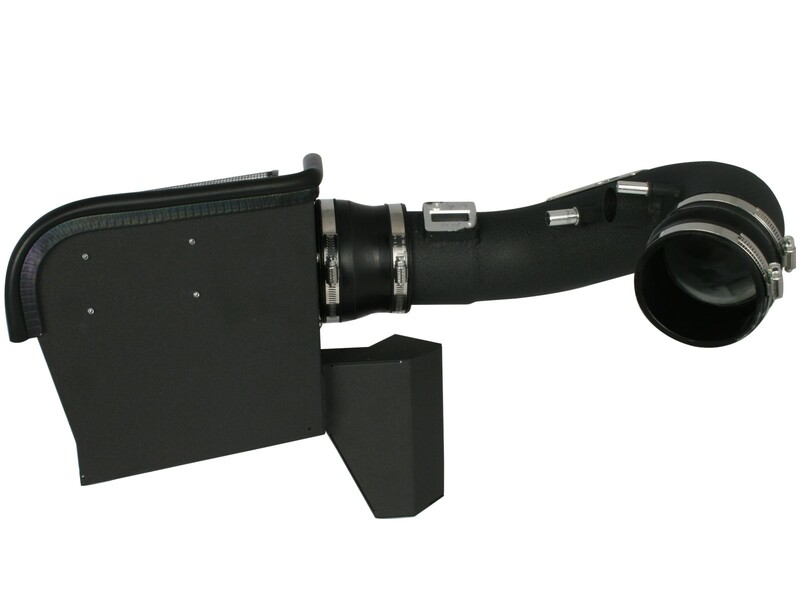 This Stage-2 cold air intake system produces 22HP and 27lbs. 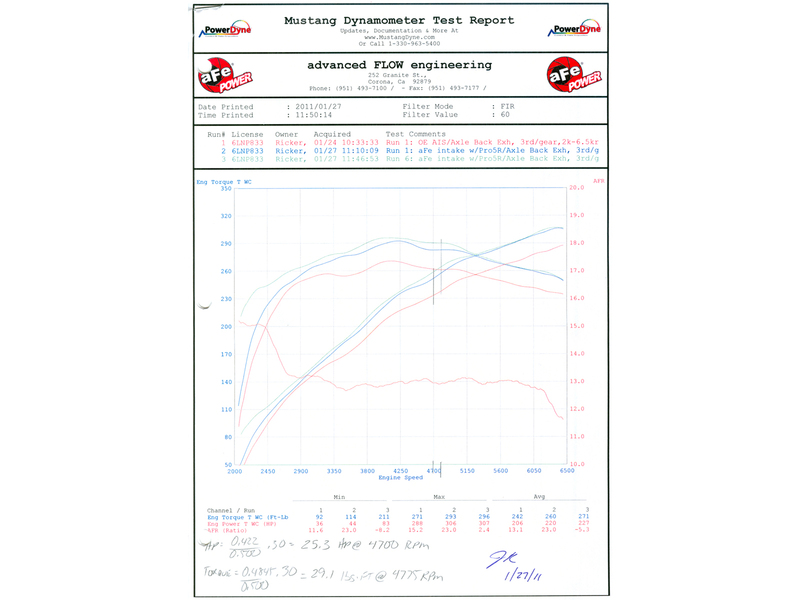 x ft. torque and outflowed the factory intake by 33%. 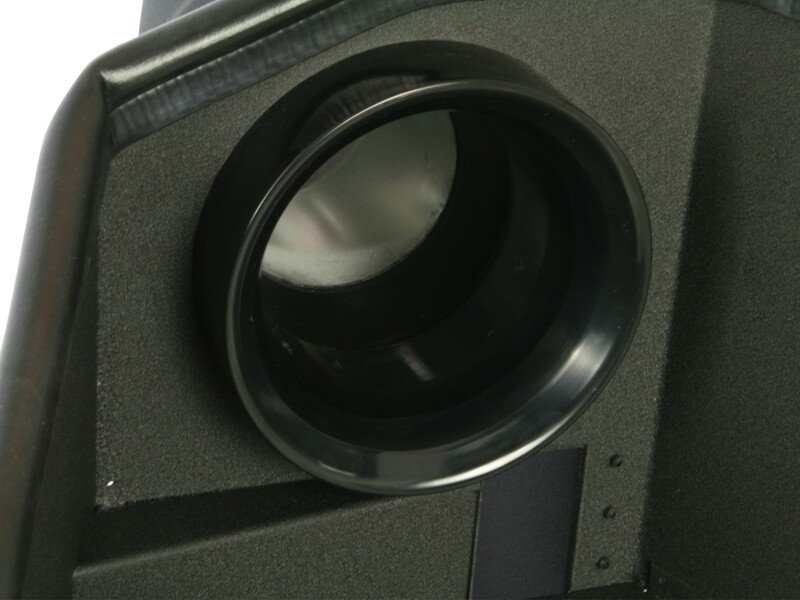 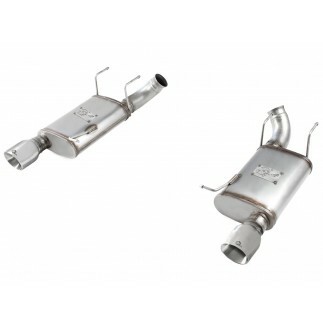 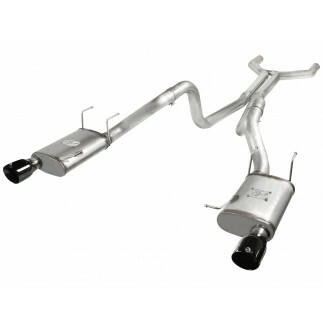 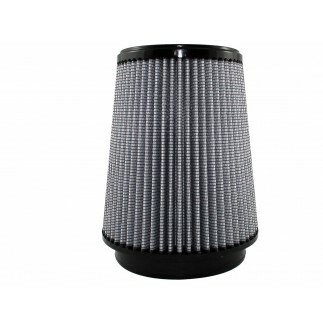 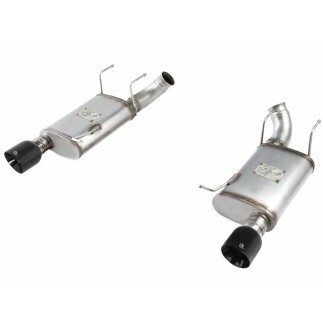 A one-piece 16 gauge steel, powder-coated heat shield uses an auxiliary air scoop to directly supply cool air from the front of the vehicle straight to the filter for maximum performance. 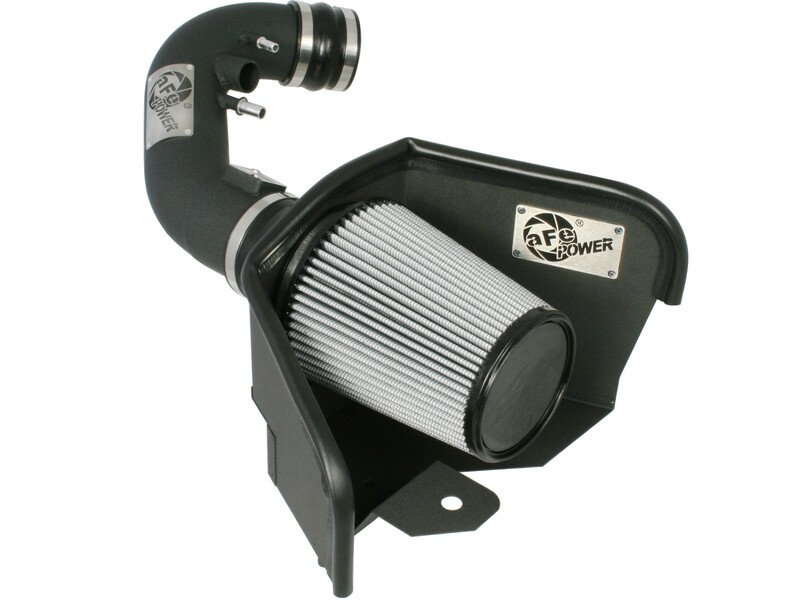 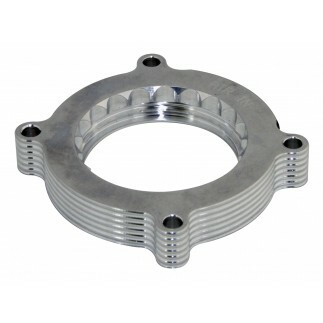 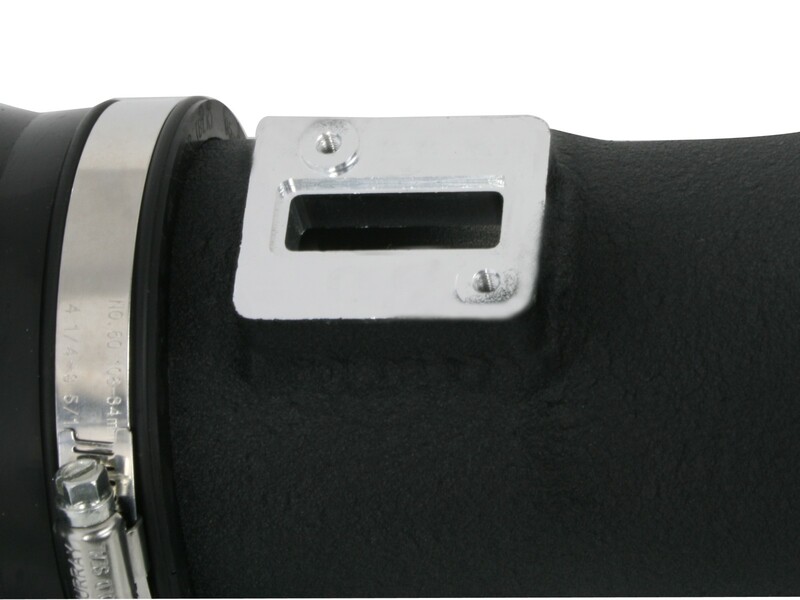 This intake system also features a wrinkle-black powder-coated aluminum tube with a built-in MAF pad and is attached to a 3-angle filter adapter to smoothly guide increased air-flow into the engine with minimal restriction. 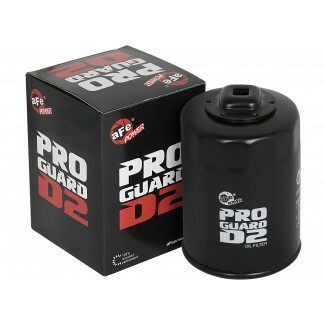 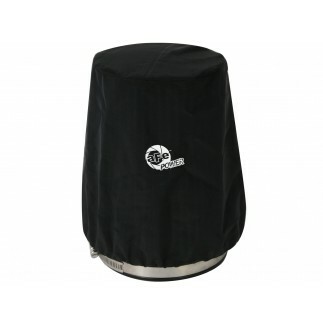 The Pro DRY S media air filter is washable and reusable and is constructed with 100% polyurethane for a long life and multiple cleaning cycles.